Despite the bad reputation the financial industry gained in recent years, the number of students who want to break into the industry remains high. Many young university graduates are drawn to banking jobs because it gives them the best opportunity to quickly translate their enthusiasm into measurable results and thus advance their finance career. What also might be a factor is that the financial rewards are highest compared to other industries. A comparison of graduate salaries, made by High Fliers, shows that investment banking jobs receive the highest remuneration with up to £45,000. Graduates working in law and the energy sector receive up to £38,000 and £32,500 respectively. For somebody who has seen the 1980s movie ‘Wall Street: Money Never Sleeps’ these research results might seem rather obvious. According to the Office for National Statistics over 1.2 million people are employed in the financial sector in the UK which also makes a huge contribution to the national GDP. Due to its size, there are various job roles available like private banking, investment banking or insurance. In a recent report by High Flyers it was stated that the number of vacancies in finance this year will decrease while the demand for jobs has increased by 22 % from 2012 to 2013. Since the pool of qualified graduates is very big, employers are now in the comfortable position to be more selective whom they hire. Having excellent academic credentials doesn’t set you apart anymore. Usually the competition is also very bright and hard working. Many students who want to go into banking plan ahead even before university and therefore choose their subjects wisely in order to get a comparative advantage. Subjects that can help you land a job are business related degrees like economics, accounting, law and finance. Read financial newspapers. That is what many professionals in the industry do daily, so make it your routine too. Newspapers like the Wall Street Journal and the Financial Times are highly regarded because of their journalistic quality and in-depth coverage of political and economic events. Try not to absorb massive loads of information, but rather seek to understand how the dots are connected. For example you could ask yourself the question whether oil price and GDP are related and rationalise why. Or you could pick a specific company and try estimate how its stock price might be affected in the future by politics and the economy. Exercises like that will practice your intuition and help you to analyse case studies during the job interview. Join a society at university. In investment banking it is required that you liaise with a lot of people who either work for you or whom you have to report to, like clients and supervisors. It is therefore essential that you can demonstrate the ability to work well in a team, socialise and interpret behaviours of other people. By getting active in a club or society you will be exposed to different tasks that will help you develop the necessary skills. Joining the investment club, if your university has one, can show employers true dedication. Many of these clubs offer very good opportunities to develop professional skills. Some of the activities include organising conferences on campus with invited guest speakers on financial topics, giving advice to fellow students how to manage a budget and planning social events. Get relevant internships. It’s not a secret anymore that internships are not a nice thing to have but a must-have. They are the best way to demonstrate that you already have work experience and that another employer was willing to put trust in you. There are many investment banks offering internships to students for up to six months. However, there is also some competition for internships in the most prestigious companies. Applying early and showing some excellent academic achievements can help you get one of these heavily sought after positions. Some students get hired right after their internship has ended, which means they will be spared the enjoyment of an assessment centre. Another good aspect of internships is that they will help you grow your professional network through personal contacts, something that has always been vital in business. Getting to know someone in person has far more value than clicking on the accept button in a social network. Great article on Online Remittance.. you have explained the blog so well. 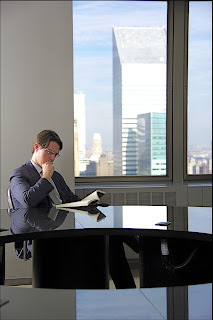 thanks for sharing..
A very good article to start a career in investment banking. Thanks! for sharing the thoughts & such an informative post.